Sure does. Thousands of companies are destroying their own brand credibility by spamming clients. Insists that I cannot do business with them without receiving their email content marketing – an opt-in by ransom! Signs me up to their content without my permission – an abuse of my privacy and personal information. Having manipulated their way into my inbox, corporate marketers then waste a massive opportunity to actually win me over. Why? Because their e-newsletter is rubbish. It delivers no value to me; it’s spin and advertising. Of course, this is completely predictable because if this company had a good content marketing program running, customers and potential customers would be excited to sign up to its newsletter. They’d be tweeting it, and posting it on LinkedIn. I believe it is because corporate marketing departments realise that subscriptions to their e-newsletter is the ultimate measure of success (for a long time, marketers thought website traffic was the ultimate measure, according to ADMA surveys). I agree – except it means jack-sh*t if you cheat people into subscribing. Of course, I understand the temptation. I’d like 250,000 followers, but I don’t have them. If I had a leader to report to, how tempting would it be to come to her every month and say we have had another 3,000 sign-ups? This trend has caught hold. 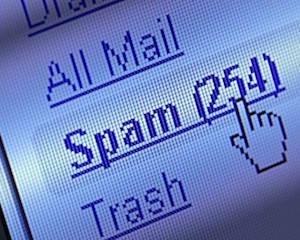 Leading brands such as management magazine HBR have fallen victim and started contributing to the epidemic of spam, causing confusion and possibly even panic among marketers. Surely if HBR is abusing its privileges, all marketers should follow suit? Spam is a brand-destroying strategy; having 200,000 followers means nothing if 199,000 of them hate receiving your content. Be brave: stand up to your peers and leaders and explain that content marketing is a way of delivering qualified leads – in other words, a way of winning customers by providing value. Marketing is about delivering value. Make sure every time your content appears in anyone’s inbox, they have opted to receive it. Deliver value – each and every time. Appearing in my inbox is a privilege. If you abuse it, I resent your brand. Valued content is “sticky” – it is relevant (because it is focused on a particular audience), it is timely because it is tied to important events and trends, and it is trusted because it is reader-focused and not self-serving in any way. Use call-to-action, ads and promotions to invite readers to do business with you. Give them a free e-book as a reward for signing up, invite them to follow you on social media, invite them to contact you for personal service, create ads that showcase your business’s products and services, but do not disguise this information as a story. Don’t be fooled. Be different.